Our courts are a great way to prepare yourself for a career in legal services – there's no better practice. Through mock trials and mooting, you’ll develop your presentation and research skills, building confidence as you go. Our three courtrooms –The Criminal, Family, and Civil rooms – are located in our Chaucer building. From judges bench and dock to witness stands, they’re precise replicas of working courtrooms. We’ve created an authentic environment, where you can explore the key principles of modern legal practice. Serve as an advocate or a solicitor, present your case to a judge, and learn to think like a lawyer. Examine issues, problems, and precedents with your peers. Clinical legal skills are an important part of your law education at NTU, and our courts are the perfect stage to show off your capabilities. 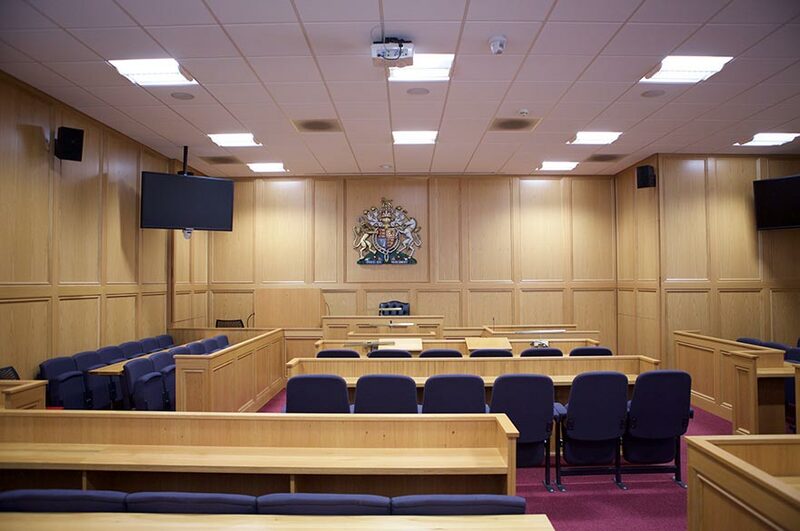 We've also got three mooting rooms in addition to our courtrooms. Mooting, or presenting a legal argument orally, is arguably the closest experience you can have to appearing in court while at university. With our strong mooting tradition here at Nottingham Law School, mooting forms an integral part of our undergraduate courses. build your knowledge of particular areas of law. Read about our Legal Advice Centre and visit our Facebook page to see more photos of the courtrooms.